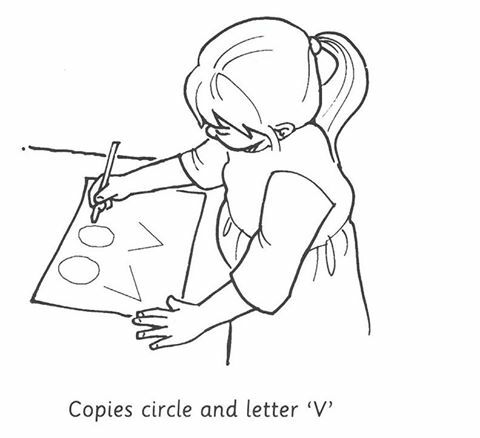 At what age child can copy circle and ‘v’. At what age child can build tower of nine or ten cubes? At what age child can cut with scissors?